The Christian movement emerged amidst complex social tensions, power politics, ethnic diversity, economic stress, and cultural changes. Both biblical scholars and social scientists find that a social scientific study of early Christian phenomena yields fascinating results. However, biblical scholars are sometimes unaware of the breadth of the useful social scientific concepts and techniques, and social scientists sometimes lack the most basic background in literary research methods. 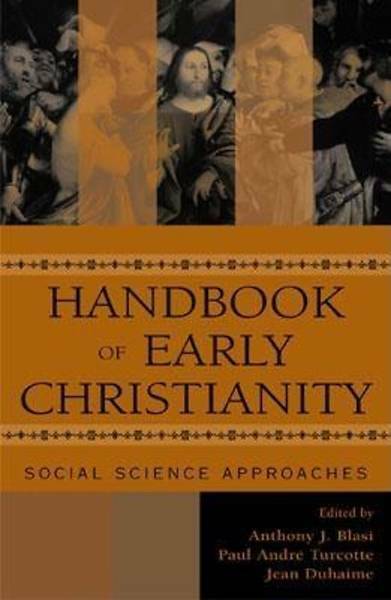 The Handbook of Early Christianity provides a much needed overview for biblical scholars and social scientists alike. Drawing on perspectives from anthropology, archaeology, economics, history, literary analysis, psychology, political science, and sociology, the Handbook shows the myriad and complementary approaches that shed light on Christianity's formation and early development. Twenty-seven chapters from leading scholars along with a comprehensive bibliography make this an essential reference for anyone wishing to understand the social dynamics of Christianity's birth.